DON’T Keep Calm!!! Polka On!!! 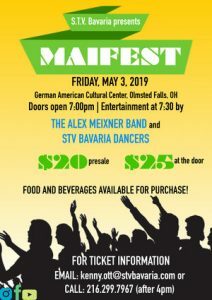 The crowds for Oktoberfest with The Alex Meixner Band keep growing– and they’re partying like champions!!! We had great gigs at Wolff’s Biergarten (Albany, NY), Pilsener Haus (Hoboken, NJ), Stoudt’s Brewery (Adamstown, PA) and even a private party for a Yacht Club in South Jersey– all jiving and polkaing to the Oktoberfest grooves! This week keeps the party in the northeast with a quick show at the Villa Roma in Callicoon, NY on Tuesday and one of our favorite intimate spots- The Village Lanterne in Lindenhurst (Long Island) on Wednesday— as well as a private party in Jersey again on Thursday before the weekend kicks off at the infamous Reading Liederkrantz Oktoberfest on Friday; Hunter Mountain on Saturday and Bear Mountain on Sunday. These are all great places to catch the band and get your Oktoberfest on! In the news department– we will be premiering our new drummer- Tom Haller from Maryland, this weekend… Welcome him to the 3 Ring Circus… He’s being trained by both Klancnik and Chav — and of course the rest of the boys in the band- so we’re all excited to throw him on stage this week!!!! Also- a little birdie (or chicken) seems to have told me we might have some new t-shirts this weekend… Remember, you can keep calm all week at work, but when it’s time to Oktoberfest- why bother… it’s a lot more fun to let your hair down…… Prost!!!!! Albany, Hoboken & Adamstown This Week! Oktoberfest season is in full swing! 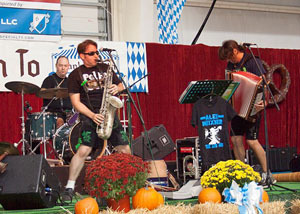 Thursday and Friday had the band making its premier appearances at the Oktoberfest in Frankenmuth. 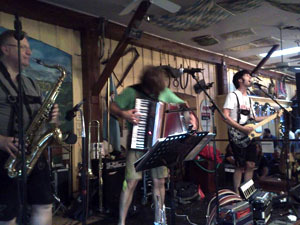 A wonderful dancing and listening audience and great band lineup made this a fine time for all of us. After the gig, the boys jumped in the van and drove 11 plus hrs back east to open the Oktoberfest at Pilsener Haus in Hoboken, NJ. Despite a hard drive with some torrential rain, we arrived ready to rock out at the best biergarten in the region…. The audience was enthusiastic and rocking helping us celebrate el chavalon’s birthday (our drummer)… And then the party continued on at Ompahfest at Plattduetsche Park on Long Island. Wow- what a party…. 7 bands at the new and improved/expanded grounds was awesome! On to this week… After a few recording sessions, I’ll be running up to Albany, NY on Thursday with a duo gig at Wolff’s Biergarten– a real, hopping biergarten upstate- with great food and beer. On Friday the party continues with another big Oktoberfest night at Pilsener Haus in Hoboken, NJ… Saturday will be our only appearance at Stoudt’s Brewery in Adamstown, PA. Make a point to come out and catch the band while tasting some of the best beer and food anywhere in a great old school dance hall and antique market. Finally Sunday is a private engagement at a yacht club in New Jersey. 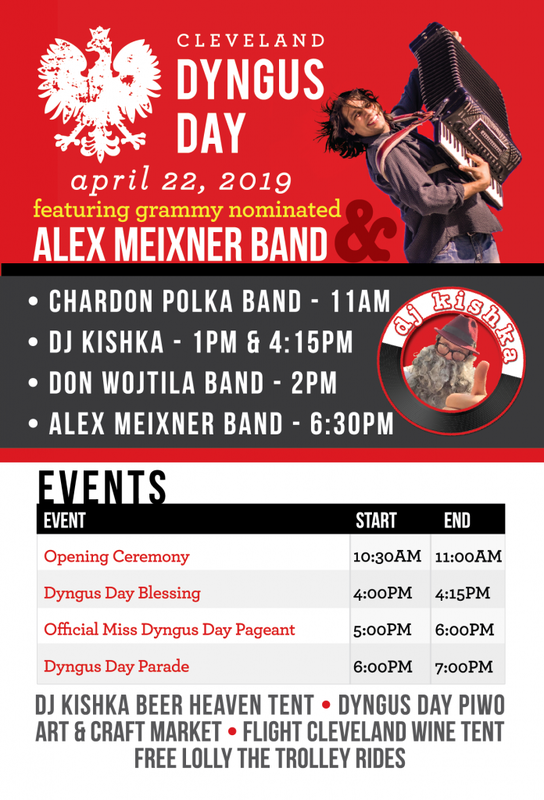 Remember, the Alex Meixner Band is available for all types of events from weddings to backyard parties to country clubs in addition to our normal concerts, festivals and dances.